First Annual Christmas Special/One Year Anniversary Celebration! Merry Christmas and happy holidays, everybody! How about that Star Wars, eh? Yes, it’s Christmas day 2015, which means it’s been exactly one year since I launched Wizard Dojo. Well, technically I bought the domain name and set it up before that, but I didn’t publish anything on it until Christmas 2014. Because I’m festive like that. It all started one year ago, with the very first addition to this website being my review of Mario Kart 8. One-hundred video game reviews, a few dozen animation reviews (I really need to catch up there), some top 5/10 lists, and a host of other articles and ramblings later, and I’d say Wizard Dojo had a pretty productive year. I figured I could turn this anniversary/Christmas blog into an annual tradition, with an extensive and varied blog about, well, a lot of random stuff. Though I now realize I could have made two annual events if I had started this site on a different day, thus separating the anniversary and Christmas blog… Oh well, if I or anyone else likes how this turns out, I guess I could think of something else to add if a year is just too long a wait for rambling goodness. So get that coal out of your stocking, grab some milk and cookies, and kick the Grinch in the plums! It’s time to get started with the first annual Christmas special/one year anniversary blog celebration! No one has really asked these, but why not address them anyway? If anyone does have anything to ask, feel free to do so in the comments! Q: Why is this site called “Wizard Dojo” anyway? I’ve always been pretty bad when it comes to naming things, and when I was trying to get this site up and running, its launch was delayed for months simply because I couldn’t think of a name for it. Originally, I was trying to go for a name that simply said what this site was. Because this site is primarily dedicated to video games and animated films, I tried to think of something that would make that obvious. Unfortunately, I couldn’t think of a title that covered both video games and animated films that wasn’t ridiculously long, and giving it a name that implied only one of mediums felt unfair to the other. So I decided to go in another direction with the name. I happened to be watching one of the old episodes of The Simpsons around that time (because the new episodes are just awful), and remembered that Springfield’s comic book store is called “The Android’s Dungeon.” I then decided to name my new site something like that. A name that would imply the nerdy contents within, but do so in a non-specific way, while also being simple and easy to remember. Somehow or another, this lead me to come up with “Wizard Dojo.” Because let’s face it, a dojo full of wizards would be the coolest thing ever. I also feel it somehow fits with my writing and the things I’m writing about. Q: Why don’t you use a .1 rating scale when reviewing stuff? Because I feel .1 scales simply cater to nitpicking. They may work for some people, but I find such rating systems to be needlessly precise. What the heck is the difference between an 8.3 and an 8.4 anyway? It can just seem like an excuse to nitpick to me (after all, why does a 9.9 exist except to troll people with what could easily be a 10?). I’ve always preferred simpler scales of whole numbers (1-10), or those that go with .5s. I’ve primarily used whole numbers in the past, but thought it was time for a change. I feel going by increments of .5 captures the directness of the whole number scale, while borrowing just enough of the complexity of the .1 scale without going overboard with it. Anyway, don’t you actually read reviews? Or do you just look at the number at the end? Q: Do you ever write about movies that aren’t animated? Occasionally yes. I like to write about any movie I think is good (and sometimes ones I think are bad). But there really are only so many hours in a day, and I didn’t want to spread this site too thin. I knew I wanted to keep writing about video games, and since I’m quite passionate about animated films, I thought it would be best to specify them when writing about cinema. Still, I enjoy writing about any movie when I have the time/interest. Q: Why is your section dedicated to blogs outside of reviews and lists referred to as “writings” instead of something like “articles?” Are you stupid? Originally, I was going to categorize the pages of this site as Animation Reviews, Game Reviews, Articles, and Top 5 & 10. But the particular layout I use for this site automatically lists the page names alphabetically from left to right. I wanted to make sure both reviewing sections were right next to each other, but “Articles” would have automatically been wedged in between Animation Reviews and Game Reviews. So I changed it to “Writings” to make sure the reviewing sections were hand-in-hand. And all was right with the world. Q: Do you ever plan to add more sections to Wizard Dojo? One of the reasons I wanted to make this site was to make a simple, straightforward blog where everything was categorized and easy to find. I don’t plan on changing it much anytime soon, but I have thought about adding additional pages dedicated to the games and movies I give a perfect 10 and my annual awards, but they could always be made into sub-pages within the others. Depending on how frequently I make new videos for YouTube, I may make a section that highlights such videos. But I don’t currently have any plans to add any other such sections to the site. Sometimes, less is more. Q: Why do you use the word “aforementioned” so frequently? It’s just something of a running joke on myself. Way back in the day when I first started blogging, I noticed I had a tendency to use the word. So now I purposefully try to sneak the word into any post I make whenever possible as a subtle jab at myself (though not more than once or twice per blog. No need to overdo it). Q: Do you hate Sonic the Hedgehog? Q: Do you hate Dark Pit? I’ve played so many great games it honestly gets difficult to narrow it down. I have never officially made an ordered list of favorites, but I plan to do that in the not-too-distant future (more on that later). Let’s save the answer for then, shall we? Q: What’s the best Christmas special of all time? 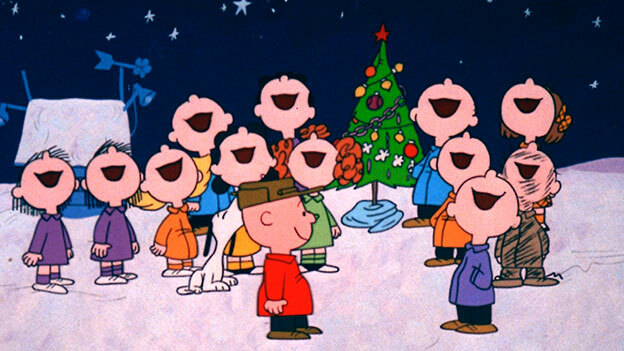 Without question, it’s A Charlie Brown Christmas. Chapter 2: Random Top 5s! As you may have noticed, I’m a fan of making lists. An entire section of this site is dedicated to my top 5s and 10s! I usually only write such lists if I feel they justify an entire blog dedicated to them. So how about we do some “smaller” top 5s here that might not otherwise get their own blogs? Let’s go! I love Super Smash Bros. (well, I did until the Geno Mii costume trolled my interest away). These are the characters I usually play in the most recent versions of the series. 5: Diddy Kong – Dixie may not yet be in Super Smash Bros., so I often play as Diddy as my own personal recompense for the travesty of Dixie’s absence. I’m not as good with him as I was in Brawl, so I might need to play him a bit more. 4: Rosalina & Luma – When Super Smash Bros. 4 was first released, I was all about Rosalina and Luma. Though I’ve since played other characters more frequently, I’m still pretty good at playing Rosalina, and maybe I’ll start playing as her as my main again down the road. 3: Bowser – Bowser is my favorite video game character, but in Melee and Brawl, he totally sucked. This was a huge bummer for me and, as a result, I rarely played as him. 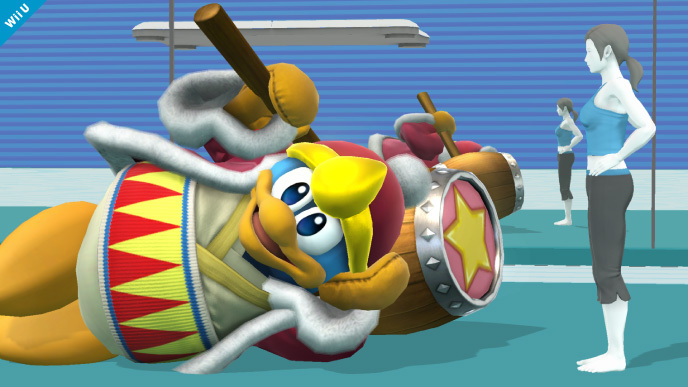 Now that he’s been transformed into a great and fun character, I very much enjoy taking out opponents as the Koopa king. 2: Bowser Jr./Koopalings – Boy is it fun to mess with people as the Koopalings. I really, really like movies. I don’t regret much, but every once in a while I’ll look back at something and give myself a good palm to the face. Thankfully, you can always go back and fix blogs, but it doesn’t change the “what was I thinking?” taste they’ve left in my mouth. 5: Somehow forgetting to list The Last Guardian on my top five most anticipated games of 2016 list. This is self explanatory. 4: Not giving Mario Kart 8 my award for best video game visuals 2014. Not to discredit Guilty Gear Xrd -SIGN-, but looking back, I think I only ended up not giving Mario Kart Best Visuals because I didn’t want my awards to be completely dominated by Nintendo. But Mario Kart 8 is just so gorgeous! 3: Not placing Donkey Kong Country: Tropical Freeze at number 1 on my top 10 Wii U games list. With this said, I do not regret placing Super Mario Maker at number 1. It has the best use of the Gamepad, and it’s infinite Mario levels. 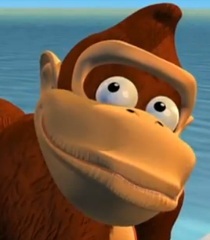 But as a singular experience, I simply love Tropical Freeze. I like it the more I think about it, and the more I think about it, the more I think it may be one of my all-time favorite games. 2: Being a little too forgiving towards EarthBound Beginnings. I enjoyed EarthBound Beginnings, and am very happy to have finally been given the chance to play it. But when I think back on it, there was a lot wrong with the game. Though I still like it, the fact that I gave it an 8 out of 10 seems out of balance with what I usually consider an 8. I consider Ico to be a far superior game, for example, and they boast the same score. Meanwhile, I gave Super Caslevania IV, a game that’s probably more fun than EarthBound Beginnings, a 7.5! Again, I enjoy EarthBound Beginnings, but I think the whole “wow! it’s finally here” factor made me too forgiving of its shortcomings. I guess I could go back and lower the score, but I’m usually against doing that. 1: Originally giving Inside Out a 9.0 out of 10. This is my great shame. For who knows what reason, I originally scored Inside Out as a 9.0 out of 10. An excellent, exceptional score for sure, and one that most movies couldn’t hope to see. But Inside Out is a flawless film, and it has become one of my favorite films of all time. This is a rare exception where I simply had to go back and up the score. It now settles with the perfect 10 it always should have been. I’m usually against altering scores, and having the first Wizard Dojo 10 for an animated film be retroactive may seem kind of lame, but I simply couldn’t live with myself if I continued to see anything other than a 10 next to Inside Out. What does the future hold for Wizard Dojo? Well, probably more blogs about games and animations. To be a little more specific, on top of continuing video game reviews and (hopefully) more frequent animation reviews, I will be getting to my movie and video game awards in the early months of the year (my game awards may have to be a little late, as I still have some catching up to do). The big thing I hope to do in the not-to-distant future of Wizard Dojo is compile my list of all-time favorite video games. I’ll probably be gunning for a top 30 or so. The top 20 will be numbered for sure, though I’m not sure if the remaining 10 will be ranked to keep consistency, or just be non-numbered runners-up. Either way, I don’t think you should read too much into the ordering of anything above number 20, because who honestly has a twenty-eighth favorite game? I can’t say for sure when I’ll make my list. But I’m currently aiming for sometime in March (no promises). I’m making this a big deal for two reasons. The first being that I’ve never “officially” made my list of favorite games before, and I feel after you do it once, you should probably wait a couple of years before you even think about revising it, otherwise the list seems pointless. And if I’m going to have to wait a while for the possibility of making a list again, I want to be sure I get it right the first time. The other reason is that I’m trying to get some of my fellow bloggers to do the same, and make their own lists of favorite games (should they want to). They don’t have to replicate my bonkers top 30 idea, and can list however many games they want, but I do recommend a minimum of top 10. My plan is to have everyone do their lists within a close timeframe, and have each list link tot he others. It makes it like a special event that way (at least I like to think so). Though some of my fellow bloggers are already aware of this invitation, I figure I may as well “officially” invite them here in this Christmastime celebration. I invite the following blogs to partake in this “favorite games” event. No one has to partake in this endeavor of course, but I think it could be fun. If any other gaming bloggers are reading this, you may feel free to join in as well. Again, I’m going for a late March timeframe, but that could change. Just want to give all the parties involved a chance to get their lists ready (the lists are an absolute good). Anyway, I figured since I’m going to be naming my favorite games in the near future, I should also do the same with my favorite movies. Though I can’t decide if I want to stick with the nature of this site and make a list exclusively for animated films, or if I want to include any and all movies and just name my favorite films in general. The only reason it’s an either/or thing is due to my passion for animated films, which means both lists would have more similarities than differences. So if I do one, it seems like I should wait a good while before doing the other, otherwise I might end up repeating myself. Decisions, decisions. I suppose my readers can leave suggestions as to whether I do a favorite animated films list or one dedicated to my favorite films period in the near future. That is assuming they’ve even read this far into this post. So yeah, if you like the crap I write, you’ll like what I have in store for this site in 2016. Now’s the time to sit back and soak in all the rambling goodness I’ve accomplished in this site’s first year. It’s true. I am a fan of professional wrestling. I’m sorry. I know people often cringe at the idea of wrestling fans, as though they’re some imbeciles who believe that the in-ring soap opera is actually a legitimate sporting contest. But most of us just enjoy it as most people enjoy any TV show. I don’t write about wrestling often (though I’m tempted to make some wrestling based top 5 and 10 lists around Wrestlemania season), but this seemed like a good place to acknowledge this interest of mine. Of course, I don’t watch wrestling as much as I did just a few years ago. I used to watch the intense Japanese wrestling and the crazy independent circuit stuff. But there are only so many hours in a day, and since games and movies are my passions, that’s where the majority of my free time goes. So I’m mainly stuck with watching what’s easily available in the wrestling world. That is to say, WWE and its superior developmental program, NXT. So my awards will be limited to those programs. Sorry. In the world of pro wrestling, you can’t mention the good without mentioning the stupid. So here are the dubious honors for WWE and NXT in 2015. Worst Feud/Storyline: The Dolph Ziggler/Lana/Rusev/Summer Rae love quadrangle. Biggest Debacle: The Royal Rumble match. Here are the gaming blogs I read most. I’m always up for discovering new blogs as well, so feel free to inform me of your existence, if you write such things. I suppose I already mentioned these blogs earlier, but oh well. Here they are again. NintendoBound (by the man called Matt) – Once upon a time, I was part of the Gamespot community (don’t ask, I don’t remember why). The fellow who now writes Nintendobound was once one of the premiere members of the Gamespot community, and had blogs regularly featured on the site’s front page. He (obviously) has a preference for Nintendo titles, but also writes stuff on animated films (another of my fancies) and music (of which I have more limited knowledge). Through the years, Gamespot rapidly declined in quality, to the point where most of its community up and left. Me and the now-NintendoBound lingered for a good while, and remained Gamespot’s last reasonable voices for Nintendo. But writing without readers hardly seemed worth it, and eventually we both left GS and started anew, with blogs of our own! Now we are our own masters! Creators of our own realms! Future rulers of mankind! Mwahahahaha! Anyway, NintendoBound continues to be a wonderful source for video game reviews and other such blogs. If you like my blog, you’ll love his. It’s much better written. After Story Gaming (by the man called Alex) – Another great source for well-written video game reviews. Unlike Nintendobound, I only discovered this site after I created Wizard Dojo (this is also the case with the following blogs as well). Its writer found my site (probably through some dark magic) and began leaving comments pretty frequently. After a while, I learned that you can find the blogs of others through their comments (don’t judge, my fear of robot overlords makes me hesitant towards technology). So I gave his blog a looksy and continue reading it whenever I can. Definitely some well-formed opinions and writings on gaming fond at the After Story. Very Very Gaming (by the man called Adrian and the woman called Maya) – More video gaming goodness. Maybe less number score-y than the others, but certainly some unique opinions and articles on the medium we all love. They also do podcasts and stuff! Once again, I found these people through comments, and they found me through NintendoBound. The circle of life. Of blogging life. Definitely a great site for reading and listening to some very fun video game musings. Plus, they’re from the UK, so everything they say sounds classy to me. Extra Life Reviews (by the entity called Red Metal) – Some of the most in-depth video game reviews around, and certainly some of the most genuinely honest. If you like to read video game reviews with serious critical and artistic analysis, this is the place to go. Once again, this is a site I discovered through my own comments section, and the person who runs Extra Life Reviews has become one of my most frequent commenters. Surely you’ve noticed our novel-length discussions in the comments section somewhere before? And those are just some of the reasons why I have accepted these bloggers as members of the Fellowship of Gaming Wizards. Because that’s totally our collective name that we all totally agreed on. Boy wasn’t the new Star Wars great? Makes me feel like the prequels never happened. So happy Return of the Jedi finally got a worthwhile sequel (and if you’re one of those people who thinks Return of the Jedi isn’t a good movie, screw you!). I must say I’m really looking forward to Episodes VIII and IX. I’m also looking forward to the spinoffs, just not as much. I kind of wish Disney waited for the new trilogy to wrap up before moving on to the standalone films. I’m just hoping that Disney doesn’t end up releasing too many Star Wars movies too soon. I’d hate to see Star Wars grow the same kind of franchise fatigue as the Marvel movies (Ant-Man was good though). Though if The Force Awakens is any indication, at least they’ll be giving us a bunch of good movies. The franchise is in better hands with Disney than it was with George Lucas. Is it okay for me to say I think The Force Awakens is my favorite Star Wars movie yet? Or will fanboys throw a tantrum because I complimented something new? Alright, it’s time to wrap up this long-winded puffery of a celebration. Which is ironic, considering that it’s Christmas and people are unwrapping things today. Guh-huh! I thought I’d end this with a big thank you to all my readers who have continued to help Wizard Dojo grow in its first year. Without you, I’d just be writing all this for myself like an insane person or something. Here’s to many more years of the word aforementioned, lamenting Geno’s absence in Super Smash Bros. (damn those Mii costumes), animation and video game reviewing, list-making, and Dr. Pepper loving goodness. Here’s to the Dojo! Excellent excellent read 🙂 This was just so much fun! I hope you had a great time writing it too! Oh and thank you for the kind words and mention 🙂 As I said the very first time I commented on your work, I love your consistency and commitment to your site and how you post content so quickly! I just started a new job, so my time for writing is fairly limited but I try to get some in every now and then. I knew that you loved Frozen but I had no idea you saw it 17 times! Is that hyperbolic in any manner or did you actually see it 17 times? Hopefully I’ll be able to play enough classic games to compile a list for March! If you need the extra time, I’m not opposed to it 😛 Where’d you get the idea to do a Christmas special post? It’s fantastic! Anyway Merry Christmas friend 🙂 and happy new year to you too! I try to keep up consistency with my updates. I’m not sure if I can crank out as much content in 2016, but I can be pretty good at working around schedules, so maybe I still can. Hopefully you can find more time to write as well, your stuff is great. It’s no exaggeration. I did indeed see Frozen 17 times in theaters (15 during its initial theatrical run, plus two additional special screenings since). And thankfully, every time I saw it it was with a great crowd, so every time was fully enjoyable. Like I said, I really like movies. Wow! Thanks for the shout. I’m honored that my blog is one of your favorites! I have a list of my all-time favorites in video games, but it’s a bit different than most. It’s a tiered list based on my scoring system – that is, I have a list for every game I have (or would) award a 10/10, 9/10, 8/10, and a 7/10. To be honest, I don’t think I could arrange the fifteen games that are currently in my 10/10 mini-list in a meaningful way because they’re good in different ways; it’s like comparing apples to oranges at that point. I agree with you on the whole decimal thing. That’s why I eschewed the concept entirely (I think .5 is acceptable, but absolutely nothing else). Giving an 8.9 just indicates to me that the reviewer is secretly deeply insecure. Aforementioned is an underrated word. People should use it more (provided they use it in its correct context, of course). As I said in your review of the game, EarthBound Beginnings was an extremely forward-looking game. The final encounter in particular has a very indie game feel which makes it hard to believe that it was originally released in the late eighties. However, there’s no getting around the fact that it hasn’t aged well with its lack of boss battles, unfair difficulty, and infuriatingly frequent random encounters. It’s beloved in Japan – more so than Mother 3, but I can tell nostalgia played a part in that consensus. Like the original Metroid, a lot of the goodwill in EarthBound Beginnings comes from its sequels; if it were a standalone game, I don’t think people would have been as kind to it. Don’t feel too bad about changing the score, though. We’re all free to change our minds. Though this reminds me of how I’ve occasionally rated some titles higher than others despite being inferior games because they provided more solid experiences. For instance, I think Ico is a better game than Far Cry 4 despite the latter having stronger gameplay because it also dropped the ball in the ending whereas the former never made any such mistakes. Sorry for the late response, I hope you had a good Christmas! Wow, you even know all the game’s you would rate with 7s? That’s dedication. I can think of all my 10s and 9.5s, and a good deal of my 9.0s, but that’s about it. If you don’t want to partake in the “favorite games” thing that’s cool, but you’re more than welcome. If you just want to name your 15 10/10s without numbering them, you can do that. Like I said, my own list will probably be unconventional itself (frankly, most of my top 10-ish are interchangeable). Glad to see we agree on decimal systems. Scores like 7.3, 8.7, and 9.9 just seem ridiculous. Not to mention it’s basically an excuse to use a 7-10 rating system, instead of 1-10. I really don’t see a need for anything other than whole numbers and .5s (which I feel showcase an exceptional work that ultimately still falls under the same numbering category). I think I enjoyed EarthBound Beginnings more than you did, but I definitely agree. And retrospect has made me agree all the more. So I feel I will get to changing that score pretty soon. Like I said, I hate to do it, but sometimes it just makes sense. I hate to admit that I still haven’t seen Mad Max: Fury Road yet, but I’ve only heard good things. I’ll try to get around to it before I do my movie awards. As it stands, Inside Out, Star Wars – Episode VII, and The Peanuts Movie take top honors from me. Though I did really love Jurassic World (some people hate it, but if you’re looking for a worthy sequel to the original Jurassic Park it gives you what you want). Thanks! Hope you had a good holiday weekend as well! Previous Previous post: 100 Video Game Reviews!